With so many option on what to do on a stag night I thought I would highlight a few popular night time activities. Casino entry is certainly getting more popular especially when gaining entry into these clubs is usually free and you don't have to wait 24 hours for your membership to come through. Most good casino's have a couple of roulette tables, poker and more slot machines then you can shake your change at, just don't use all your money you still have a stag to look after. Lap Dancing has always been popular ever since the 90's boom, most cities have a club and most stag parties plan a trip to one, again just don't spend all your money you still have a stag to look after. What would a stag night be without a trip to a nightclub where the group can let their hair down and have some good old fashion fun of slamming shots and dancing like baboons. We are now entering the conundrums of the stag do calendar, and this is a great time to bag a bargain. November to February is a quiet time for stag dos and if you are looking for a winter stag do in the UK and beyond at a great price you are in luck. On the DesignaVenture website there are quite a few deals for parties looking to go between November and February in all the major UK stag do haunts including; Bournemouth, Nottingham, Bristol and Reading. I know that the trend is to get married when the weather is fine and dandy, however loving couples also get married in the winter months including special days and holidays including Christmas and Valentines day. If you are looking for a winter stag weekend in Europe, Riga and Bratislava have loads of offers for this time of year, offering fantastic rates in 3 star plus hotels and discounts on day and night time activities. So get looking and booking people you only have a few months to go before we go back to stag do silly season. One of the most popular stag do activities is the Rage Buggies, some people may call Off Road Buggies or dirt buggies but surely they are the same activity, aren't they? Well actually no, The Rage Buggy is as described by Clarkson as the Mutts Nuts, they are fast, furious and extremely versatile. 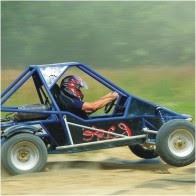 The exhilaration of the Rage Buggy is far superior to your normal buggy, and boy is it tough. So, the Rage Buggy is an Off Road Buggy but is at the high end of Off Road Buggies scale, just like the Aston Martin is of cars. So when you look at your next stag do package and it describes Off Road Buggies it may not be The Amazing Rage Buggy, it might be an imitation or a slower version (a Nissan Micra compared to a Ferrari). So ask the question before booking. 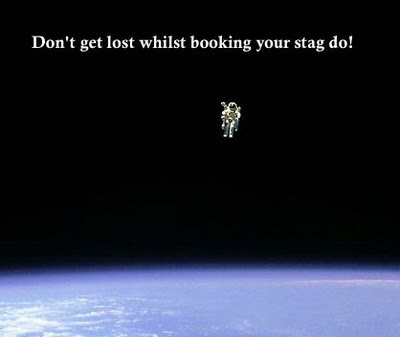 Fed up with looking around and trying to find the perfect stag do. Well, look no further people, below are some very popular stag dos which I am sure you will like as they are tried and tested by real stags. 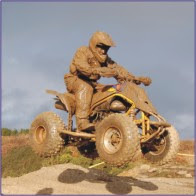 One of our most popular stag weekends in 2011 is the Rage Buggies, Bikes and Boogie weekend in Nottingham. This amazing package includes Rage Buggies (obviously), Quad Biking, Laser Clays, 2 nights in a 3 star hotel with breakfast and nightclub entry into Nottingham's biggest nightclub, Oceana. If you would prefer something a little more outward bounds then the Gorge scrambling packages in Bristol, Cardiff and Hereford have also been a huge hit. Gorge Scrambling other wise known as Canyoning is a fantastic activity to do on a stag do, you all get wet, there are loads of jumps to build up the testosterone and everyone leaves the activity knowing they have done well, a win win situation. 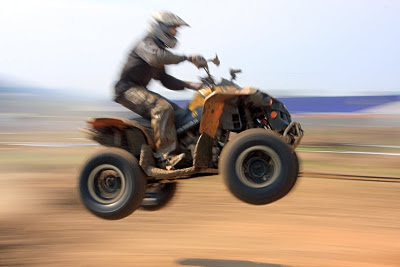 Motorised stag do activities are possibly the most popular activities to do on your stag weekend. The choices have increased dramatically since the late 90's with loads of great motorised on offer. Not only are there lots of choices these machines have been improved on just like the first Iphone or the very first Playstation. Activities in the nineties kind of included just grass karts* and boring snoring 4x4 off road driving. 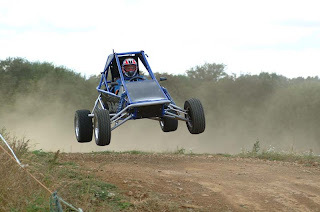 These days you can step into a Rage Buggy which can hit speeds of up to 60mph, you can swing them round bends knowing you are not going to roll and you are so close to the ground the speed feels more like 100mph. Quad bikes have moved on since the olden days, they have become faster, easier to use and more agile, giving you the ability to get air, climb impossible steep banks and thrash through rivers. Before anything else you need to decide what to do in the day, drinking all day may sound like fun but can get out of hand and the stag could be in bed by 4pm. 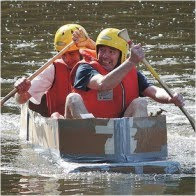 The stag do needs an activity, and whatever you decide there is loads on offer throughout the UK. Whatever you decide the UK has some great activity sites, head to Scotland (Edinburgh) for some of the best white water rafting in Europe. If you would prefer something a bit more sedate the River Wye in Herefordshire has some great canoeing where you can relax and unwind from the chaos that is your day to day life. If you would prefer sailing the seas, hire a yacht and skipper in Portsmouth and set sail for Cowes, it's where Prince William was seen recently on a stag do. If you really want to learn a new hobby which will make you look cooler than James Bond in a DB7, pick up a surf board in Newquay and hit those North Atlantic rollers. A last minute stag weekend is always a little chaotic, fumbling around looking for things to do in the day, where to stay and what to do at night.Add in the Bank Holiday element into the equation and you may find yourself up a certain creek without a certain paddle.So there must be a cure for this unwise situation, and there is book now.Getting a big stag party of say 20 lads into a hotel last minute is hard enough, without the added pressure of a bank holiday to boot.So booking early will elevate the pressure and will also give you and the stag party a focus.If booking through a stag organiser such as DesignaVenture, they will allow and accommodate group sizes dropping up until 5 - 4 weeks before you go so booking early will not leave you out of pocket.So if you have a location in mind and want to go over a busy bank holiday get your stag weekend booked as soon as you can.For more best man tips, have a browse of my blog. The Best Man often has more responsibilities than anyone realises and there’s no slacking off if you want to stay mates with the groom and shine in the eyes of the all-important bride. After all, she will be your passport to future access to your best mate, and maybe the may get involved in the stag do unless you show you can cope with responsibility. The pressure’s not just on with the speech, rings, getting the groom there at all, it all starts before the actual day as, traditionally, it’s your job to organise the stag do. If we’re putting the fear of God into you before you’ve even entered the church, then don’t panic, we have some great advice to make at least one important task go swimmingly and possibly be something to inspire your Best Man’s speech; the stag night. We were horrified when the news broke that Jordan, aka Katie Price, had bought an awesome Bugatti Veyron and was then committing the ultimate insult to the hypercar by have it pinked up, inside and out. Every time I tell people what I do the first question they ask me is "where are the best places to go on a stag do?" This is a difficult question to answer as it usually depends on what you want to do on your stag weekend. Newquay is an obvious answer is it does so well out of stag dos in the summer and is usually packed with hen parties too, giving it a unbelievable atmosphere. Keeping with the seaside theme Bournemouth is extremely busy with stag weekends looking for good beaches, fantastic stag do activities and nightlife so electric you could plug your phone charger in and get a full charge. There is plenty to do in and around the resort including water and theme parks, jeep safaris, catamaraning, paintballing the beaches and of course an abundance of wicked bars and clubs. Stag Night – The Movie! As if having your balls-outstag night antics posted on Facebook wasn’t glory enough, the evolution of sophisticated functions on our smart phones means that the unbelievable events of your whole stag do could be immortalised in a technicolour production to rival ‘The Hangover’ parts 1 and 2, and uploaded for the whole world to enjoy. YouTube has a lot to answer for. It's the same old story, stag do invitees complaining it's too expensive, or I can't go for two nights, it's too far. Tune-in to what people want, make compromises (not too much) and help people attend the stag weekend. If a few of the guys can only make part of the stag do, ask the question get a price for one night. Go a little out of your way to help people get on board, after all as the best man this is part of your job description. Most stag do companies like DesignaVenture will help you with the finer points including budgets and tailor made quotes as that's the reason you book with them, the hassle free factor. Take on everyone's point of view and calculate it by using the following formula, 50% groom's choices and 50% invitees ideas. Once booked, keep on top of the boys, send out gentle reminders about the payment date, and any relevant news and prank ideas. Consider a stag do destination where apparently there are 7 women to 1 man (not sure if this is a myth? 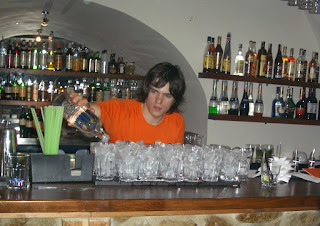 ), it's easy to get to, the nightlife is buzzing and there are tons of daytime activities to choose from. That destination is Nottingham, a hot bed for hen and stag parties wanting to let their hair down and party. In the 90's Nottingham was one of the first cities outside of London, Blackpool and Edinburgh to attract loads of hen and stag revellers. There are many reasons for this including friendly locals, fantastic nightlife, the rumour of more women than men, activity centres popping up all around Nottinghamshire and it's geographical location within the UK mainland. The Nightlife is not to be sniffed at, it has many restaurants suiting tastebuds from around the world, energetic bars and dynamic clubs to keep even the liveliest stag party entertained. 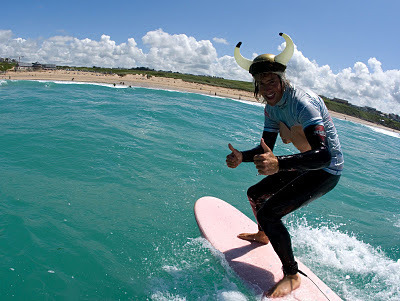 The summer is here and lots of stag dos are heading for the UK's finest beach resorts. Newquayhas been a firm favourite for years and has loads going on, that's if you don't fancyjust sitting on the beach and watching the peaches go by. 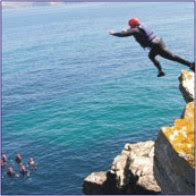 Activities in Newquay include Coasteering (written about in a previous post), surfing, one of the best quad biking sites in the UK, twin engine outdoor race karts that go up to 60mph, body boarding and beach volley ball. The beaches in Newquay are some of the cleanest you will find anywhere in the world and the water is crystal clear, if a little chilly in early summer! Bournemouth has a 7 mile award winning sandy beach, and Dorset is home to one of the most expenses places to live in the world, Sand Banks. Activities in Bournemouth are vast and include Rage Buggies, Clay Pigeon Shooting, Quad Biking, Human Table Football, It's a Knockout and even surfing! Bournemouth is home to the first man made surfing reef. Believe or not we are almost half way through the year and once you hit August you know Christmas and winter is around the corner. 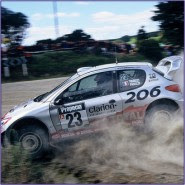 Christmas and Valentine weddings are hugely popular so what can a stag party do in the winter months. 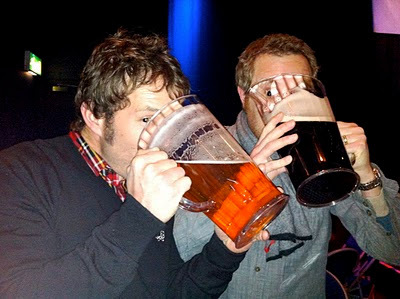 First of all there are many benefits to having a winter stag do, one of them being you may find it cheaper than usual spring and summer months. 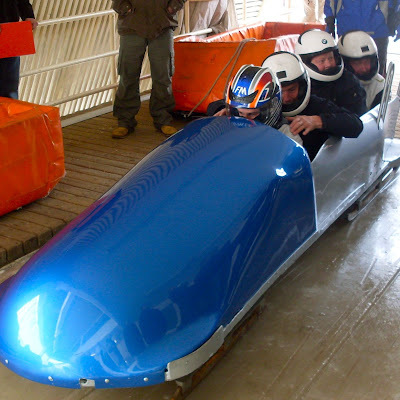 At DesignaVenture we offer many winter stag do offers in places such as Bournemouth, Bristol, Reading and Newquay. These winter special offer include loads of activities including quad biking, clay pigeon shooting, paintball, stay in high quality hotels and get up to 30% off the usual price. Get some balls of steel and go Gorge Scrambling down a river (which is made up of melting snow) from the top of the Brecon Beacons, now that will be cold! Looking for that Last Minute Stag Do which is giving you the hebejebes? Well don't worry too much as booking through a stag do company like DesignaVenture can really minimise your stress. 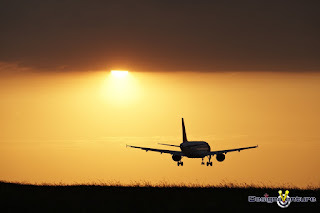 The cons of booking it yourself is finding availability, especially in June, July and August when most of the popular hot spots are full, you may find yourself up against it. Stag Companies such as DesignaVenture can really help with availability as they will have live up dates from hotels and activity sites all around the country. They also have an abundance of resources so if your first choice is not available you should be able to get as close to it as possible. As you are booking last minute, try and keep the price as low as possible - this will keep everyone in the group happy as don't forget; spending money is also vital. Is Golf A Good Stag Do Activity? Well, it is and it isn't, if that makes any sense. I suppose what I am trying to say is that it all depends on your group and the way you handle the booking. We take many stag do bookings which include Golf and find half of them either reduce right down in numbers or completely cancel. If the groom loves golf and wants to have a game on his stag weekend, then that's great, he should be able to do what he wants to do. However, if you have 20 people on the list you will possibly find that over half will not have played golf before or even want to play this fustrating game. Note; Churchill was quoted on saying; "Golf spoils a good walk!" So you have two options, book the golf for the Sunday morning and do something else on the Saturday, or quote the guys two prices, with and without golf. They then have the option and will still attend the stag weekend without feeling that have to play and pay for golf. 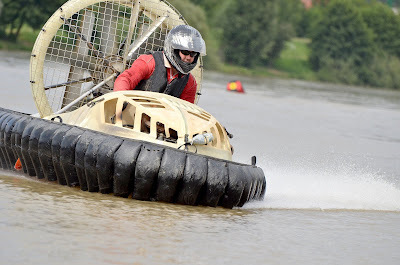 You don't have to stink of petrol to enjoy some amazing motorised activities whilst on your stag do. 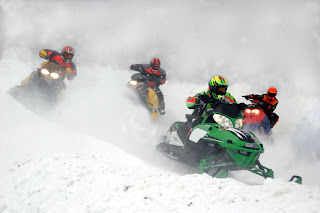 Motorised stag activities are extremely popular as most groups want excitement, adrenalin and speed from their activities. One of the most popular activities to do on your stag do is Rage Buggies, these dirt buggies can reach speeds of up to 60mph and take some guts to swing them round corners at top speed! 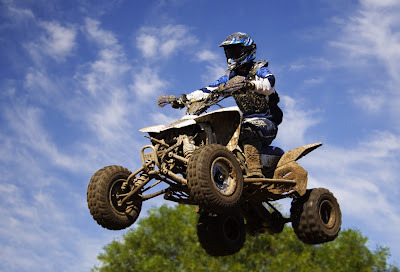 If you prefer to be on a bike, then Quad Bikes will take some beating, they are very versatile and easy to ride. Some sites let you race these beasts around specially designed mud tracks which have adverse and reverse chambers and some even have straights with jumps in the middle of them so you can get air. If you prefer to take on what Mother Nature has provided then off road and quad bike across extreme treks, with steep climbs and inclines, through rivers and woods this is definitely not a nature trail. Most stags are looking for something different to do on their stag do, something most of the guys in the group have not done before. 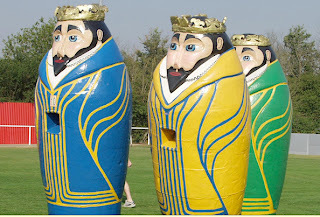 Below, I have put together some unusual stag do ideas for you to have a peak at. 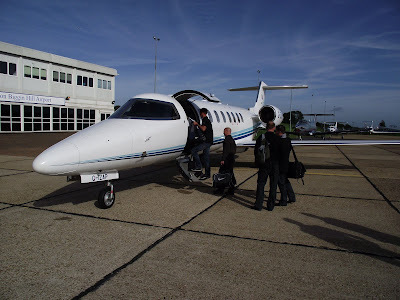 If money is no object and for a luxury stag do, book a private jet to a European destination of your choice. 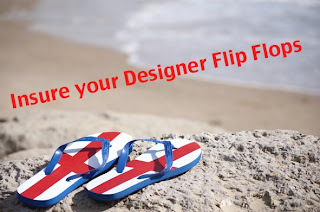 DesignaVenture offer this option on their website and will include private transfers at your resort, 5 star accommodation and entry into prestigious nightclubs and bars. If you would prefer to stay in the UK and get away from the grime and erratic nightlife of the big cities, Pitch Up and Canoe down the River Wye. With exceptional scenery and a chance to unwind, drink and catch up with friends this really is a great idea. If you would prefer loads of full on activities ideal for the stag who love the outdoor life, then North Wales is a fantastic option. If you need a break from the usual nightclub, bar crawls and packed city centres then look no further then our North Wales / Shropshire Border stag activity weekends. Staying in en-suite group accommodation with a late bar (open until you can't take anymore) serving Real Ales and hearty locally produced meals it is a great place to get away from the fast lane of modern living. On the doorstep of this amazing laid back location is some of the finest stag activities known to stags. 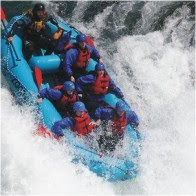 Activities include White Water Rafting, Quad Biking, Hovercrafts, Gorge Scrambling, Abseiling off 80 ft bridges, Paintball, Outdoor Race Karts, Clay Pigeon Shooting to name just a few. After you have exhausted your bodies go back to your group hotel for a well earned pint or two and tuck into a hearty two course meal, then sit back and relax, unwind and discuss why you fell out the raft, or got shot the most in Paintball in a warm and friendly atmosphere. If you are looking for a destination which will satisfy most stag groups then, holding your stag do in Bristol will help you hit the ground running. With fantastic activities which include Rage Buggies, Clay Pigeon Shooting, Quad Biking and even Gorge Scrambling Bristol really is a fine place to hold your stag weekend. Bristol has a good number of 4 star hotels all situated in the centre of the city, and DesignaVenture only use 4 star hotels, which are affordable and stag friendly. 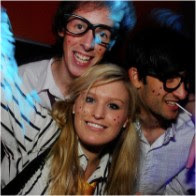 The nightlife has been upgraded and rejuvenated into cosmopolitan bars, restaurants and clubs with the biggest drag being around the waterside area of this amazing stag do city. Fancy a flutter? 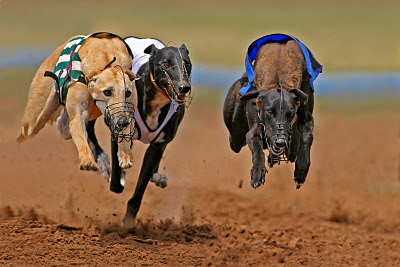 The DesignaVenture horse racing package in Bristol is an ideal weekend suiting the stag party looking for thrills and excitement without getting wet or muddy. Whatever you want to do on your stag do, I am positive Bristol will knock your stag party for 6, with high fives all around from the happy stag.